Explore the World with our Partners! Thank you for your interest in VBT Bicycling and Walking Vacations and if you’ve traveled with us before, thank you again for your continued support. As you may or may not know, VBT has been a valued member of Xanterra Parks and Resorts since 2013. Thanks to our partnerships with the award-winning tour operators and resort properties that are part of our shared ownership, we are pleased to present the following special offers to our loyal past guests on behalf of our sister companies. About: For 40 years, Country Walkers has provided active, immersive, and unforgettable travel experiences on five continents—including unforgettable safaris to Africa. They offer two distinct ways to explore: scheduled, small-group Guided Walking Adventures and independent Self-Guided Walking Adventures. On tour, guests enjoy superb local cuisine, first-class guides, fine accommodations, and authentic cultural and natural encounters. Visit Countrywalkers.com for more information. 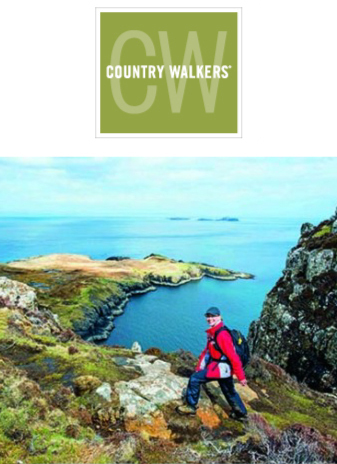 Sign up for Country Walkers’ E-news and request a catalog. *Note: Savings not combinable with other offers, credits, benefits, or discounts, except for Referral Credits. Exceptions apply. About: Since 1928, Sea Island has been known as an exceptional destination appealing to those who appreciate gracious service and heartfelt hospitality. It is the only resort in the world to have received four Forbes Five-Star awards for nine consecutive years. The only U.S. resort to host a G-8 Summit of world leaders, Sea Island provides exceptional settings and service for conferences and executive retreats. Located on the coast of Georgia, Sea Island features five miles of private beach, a Beach Club, tennis and squash centers, Yacht Club, Shooting School, Camp Cloister, three championship golf courses, including Seaside and Plantation, home of the PGA TOUR’s RSM Classic, as well as the nation’s finest Golf Performance Center. Guests may also enjoy nearby Broadfield, a Sea Island Sporting Club and Lodge, offering a variety of seasonal hunting, fishing, sporting and organic culinary opportunities. Sea Island entices families, conference attendees, outdoor and activity enthusiasts, and those simply wanting to refresh and recharge. 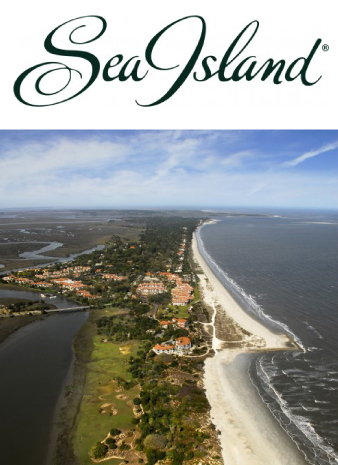 Visit Seaisland.com for more information. Sign up for the Sea Island Email Club to stay in the know about additional offers. *Offer is valid for stays through December 31, 2019, with a two-night minimum stay booked at the standard nightly rate at The Cloister or The Lodge. Minimum length of stay will vary depending on dates chosen. Blackout dates will apply. $38 nightly resort fee and tax are additional. Resort credit of $200 per stay can be applied to any incidental charges excluding room rate, tax or resort fee. Cannot be combined with other packages or offers. Based on availability; some conditions may apply. Valid for new reservations only and does not apply to group bookings. Exclusive benefits for our preferred guests. You are our special guest. We invite you to experience a suite of premium resort destinations and luxury travel opportunities with offers designed just for you. About: The Broadmoor, located in Colorado Springs, CO, is the longest-running consecutive winner of both the AAA Five-Diamond and Forbes Travel Guide Five-Star awards. The Broadmoor offers guests a unique way to experience the beauty of the American West, with their Forbes Travel Guide Five-Star day spa as well as 20 restaurants and lounges (including the only Forbes Five-Star, AAA Five-Diamond restaurant in Colorado, Penrose Room), 54 holes of championship golf, Zip lining, Falconry, Fly fishing outings and instruction, tennis, indoor/outdoor pools, distinctive retail shops, specialty tours, activities and programs for guests of all ages and interests. The Broadmoor recently introduced The Broadmoor Wilderness Experience, blending the rugged adventure of the Colorado mountains with the luxury, elegance and superior service on which The Broadmoor built its reputation. 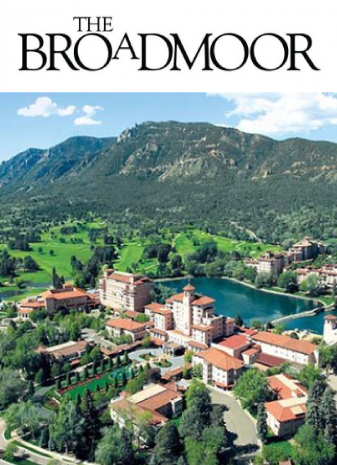 Visit Broadmoor.com for more information. Special Offer: As a preferred VBT guest, enjoy 10% off standard rack rates and a complimentary room upgrade at The Broadmoor*. How to Book: For more information call (844) 412-2733 and mention PGVBT or click here to book Now. Join The Broadmoor’s eMail club for more information about special offers, packages, promotions and The Broadmoor eNewsletter. *Based on availability. Offer extended through 12/31/2019. Beyond the buildings by the lake; beyond the luxury, elegance and superior service that is the foundation of The Broadmoor in Colorado Springs, CO, a new pioneer spirit is emerging. Blending the rugged adventure of the Colorado mountains with all the best in service and amenities you’ve come to expect, The Broadmoor is proud to introduce The Broadmoor Wilderness Experience. 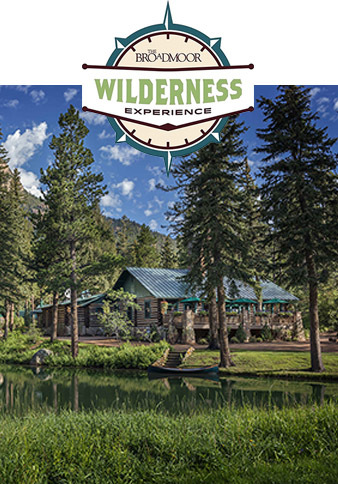 Special Offer: enjoy 10% off standard rack rates and a complimentary room/cabin upgrade at your choice of The Broadmoor Wilderness Experience properties*, including Cloud Camp, The Ranch at Emerald Valley and The Fishing Camp. To Take Advantage of this offer: Call (844) 412-2733 and mention the code WEVBT, or Book Online Here. *Based on availability. Not combinable with any other offers. Offer extended through 12/31/2019. About: For anyone yearning for a more authentic and intimate travel experience, your ship has arrived. Windstar’s small, elegant ships take you off the beaten path and into unique ports-of-call and hidden harbors, to explore iconic destinations and exotic cultures. Exceptional, locally sourced culinary experiences from some of the most recognized chefs in the world. Highly personal, award-winning service. And an immersive approach that awakens the senses and stirs the soul. All this on ships that are unequalled in beauty and grace. This is travel that’s 180 degrees from ordinary, and it’s only found on Windstar. Visit Windstarcruises.com for more information. How to Book: Call Windstar Cruises at (800) 258-7245 or visit WindstarCruises.com/TacGuest. Use Promo Code TAC to enjoy exclusive offers for past guests of VBT. *All fares mentioned are per person, in US dollars; cruise only, based on double occupancy in lowest category, and includes non-discountable amounts. Suggested onboard gratuities are extra. Taxes, Fees & Port Expenses are additional and range from $55-$1,883 per person. Destination Discovery Event is applicable to select cruises and will be added at time of booking. Please double check your invoice for its presence. Offer is valid on new bookings only for select departures and subject to availability. Consult your Windstar representative for promotional offer or discount combinability. Bookings are non-transferable; no name changes can be made nor can this offer be applied retroactively. Cancellation penalties may apply, please see website for details. Certain restrictions apply. Fuel surcharges may be imposed or increased over time. Offer is capacity controlled and may be withdrawn or modified at Windstar’s discretion at any time. Information contained herein is accurate at the time of publication and subject to change without notice. 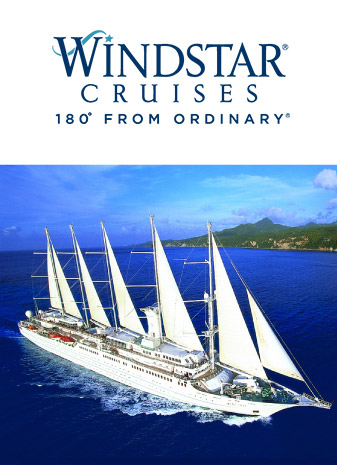 All terms and conditions stated on the Windstar website apply. Cruise is provided subject to the terms and conditions of the Passage Contract. Ships’ registry: Bahamas. About: The Oasis at Death Valley, situated in a lush oasis surrounded by the vast and arid desert of Death Valley National Park, California is just 120 miles northwest of Las Vegas, Nevada and 275 miles northeast of Los Angeles, California. This property hosts two hotels – the historic, 4-diamond, 66 room Inn at Death Valley (formerly The Inn at Furnance Creek) and the more family oriented 224 room Ranch at Death Valley (formerly The Ranch at Furnace Creek). 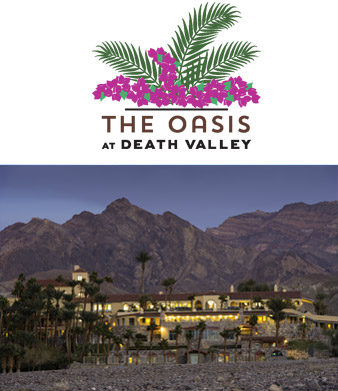 How to Book: Call The Oasis at Death Valley at (760) 786-2345 or visit Oasisatdeathvalley.com. Use Promo Code PGVBT to enjoy exclusive offers for past guests of VBT. *Not combinable with other offers. Subject to availability. Blackout dates and other restrictions may apply. 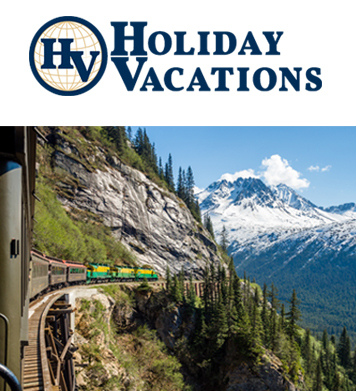 About: Welcome to the world of Holiday Vacations, featuring unique and popular guided tours to more than 65 destinations worldwide. Those fascinating destinations include the United States, Europe, Australia, New Zealand, and many exotic destinations including Galapagos Islands, Iceland, and African Safaris. Their guided tours offer guests more value for their dollar than anywhere else, with all airfare included, local departures, expert guides, deluxe hotels, included meals, and built‐in surprises along the way. How to Book: Visit holidayvacations.com/destinations to learn more or call 800-826-2266 and mention the code PreferredVBT to book your special offer. 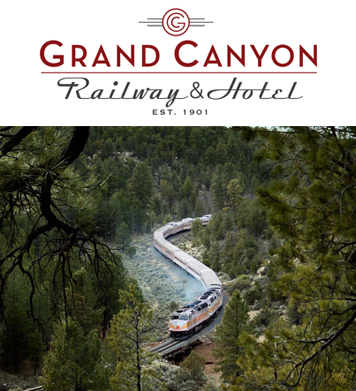 About: Since 1901, the Grand Canyon Railway and Hotel has been taking people on a fabled journey to the heart of one of the Seven Wonders of the World. Grand Canyon Railway is more than just a mode of transportation: it’s a trip back in time on lovingly restored rail cars with entertaining musicians and the antics of cowboy characters. Out your window, the terrain changes from high desert to prairie, prairie to pine. It’s a view that’s ever-changing until you come across a view so brilliant, it could very well change you. All aboard to the Grand Canyon to make a grand trip grander! How to Book: Visit TheTrain.com to learn more or call 1.800.THE.TRAIN and use promo booking code GETPGP1 (one night) or GETPGP2 (two nights) to book your special offer.